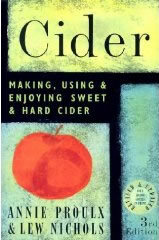 Recommended Reading about Cider making and enjoying everything related to apples. 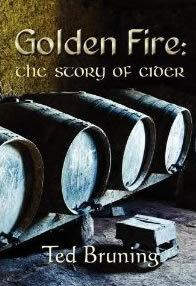 Golden Fire: The Story of Cider Until now no one has attempted to unravel the many myths, legends, and misconceptions that surround its origins and development to present a factual narrative history. Is cider, as legend has it, the oldest alcoholic drink of them all, or is it in fact a comparatively recent introduction? Did it come to Britain with the Celts, the Romans, or the Normans? Were medieval babies really baptised in it? Golden Fire: The Story of Cider takes a long, cool, refreshing look at the evolution of one of Britain’s favourite beverages and answers all those questions. 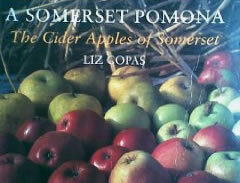 A Somerset Pomona: The Cider Apples of Somerset A book on Somerset apples with colour photos of all 80 varieties still grown in Somerset today. There are drawings of every apple, showing size and shape, together with descriptive notes on their origns for cider making. 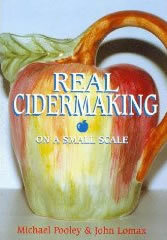 Real Cider Making on a Small Scale A comprehensive and practical cider making book for the small scale producer. The authors combine years of experience and expertise to produce clear and accessible text. Cider: Making, Using & Enjoying Sweet & Hard Cider An American book of interest to all cider and apple juice makers. 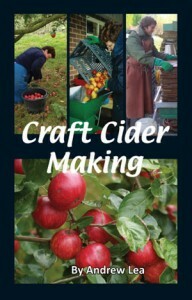 Includes chapters on making cider, apple varieties, vinegar and brandy. 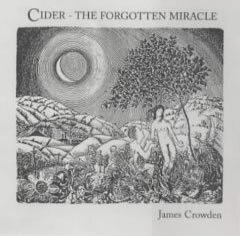 Cider: The Forgotten Miracle A witty and energetic investigation into the history of farmhouse cider. The story set against the backdrop of 17th and 18th Century England is told by poet James Crowden with humour and clarity. 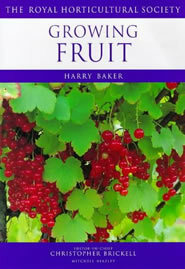 Growing Fruit (Royal Horticultural Society’s Encyclopaedia of Practical Gardening) An excellent comprehensive guide to all the key techniques for the successful growing of soft, tree and warm temperature fruits from apples and strawberries to nuts and currants. Includes over 320 easy to follow step-by-step drawings to guide you through a wide range of essential gardening projects. 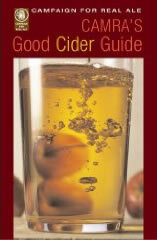 CAMRA’s Good Cider Guide Have some fun hunting out some of these cider outlets! For a simple guide it’s really well presented, the layout is very clean and easy to use. There are a couple of features on the heritage and production of cider, in this book that break up the guide book element and make it a genuinely good read. 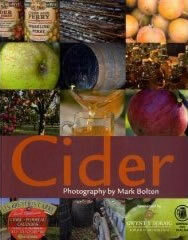 Cider This book showcases the best of the British craft cider revolution. With features on some of the characters involved in cider – and perry-making and articles on the history of cider and perry, noteworthy cider pubs, making your own cider, cooking with cider, cider’s place in British folklore and foreign ciders. 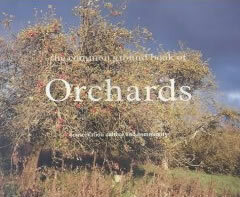 Common Ground Book of Orchards: Community, Conservation and Culture An inspiring and informative large book format exploring how orchards continue to shape local culture from custom to kitchen. Includes 50 specially commissioned photographs. Craft Cider Making – This book is for anyone who wants to grow and to make good cider, apple juice or even cider vinegar. Whether you have a back garden with a couple of apple trees, several acres of orchard deep in the countryside, or you’re just ‘scrumping’ apples from friends and neighbours every autumn, this book is for you.